The restaurant situation in most cities is an ever-shifting canvas and there’s high turnover always. This post was updated in late January of 2019 and will be revised when the Guanajuato restaurant scene changes again. 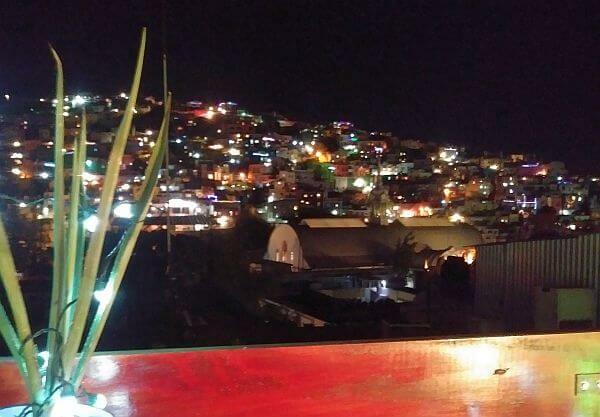 Though Guanajuato City probably receives 98 Mexican tourists for every 2 foreign ones, the local population is getting steadily wealthier and pickier, so the number of good places to choose from keeps increasing each year. So the best places to eat here is not limited to two or three restaurants anymore. This is still no San Miguel de Allende, with 50+ places catering to resident foreigners, but the counterpart of that is it’s really difficult to spend anywhere close to $100 for two on a nice meal in the top restaurants here. You’d have to order a couple bottles of wine to hit that level. When my wife and I dined at Amatxi recently, we had three courses and a few glasses of wine for $50 even. That’s considered pricey by local standards. Here are the best bets for a leisurely meal in central Guanajuato City. There are some other fine restaurants in suburban Marfil, where the few upscale houses with a yard and garage are, but they require a longer taxi ride to get to and receive very few out-of-towners. Los Campos – Next to the great Xocolat chocolate shop in Baratillo Plaza, this fine restaurant has been a great addition to the scene and is always getting raves from visitors and residents. A Canadian man (front of the house) and Mexican woman (in the kitchen) have planned a menu that blends the best of both worlds, with good wine, carefully chosen Mexican spirits, and local microbrews. I almost always take visiting friends with good taste to this spot. Take a look at the delicious menu here. The same owner has branched out into another building about 10 minutes away, where there’s now a three-story complex on Positos for a night out. On the first floor is upscale taco joint Metate. The second floor is a lounge with lots of sofas and a great Mezcal selection. The top floor is open-air Salmiana, which serves from a more varied menu and has a view. See the combo website here. 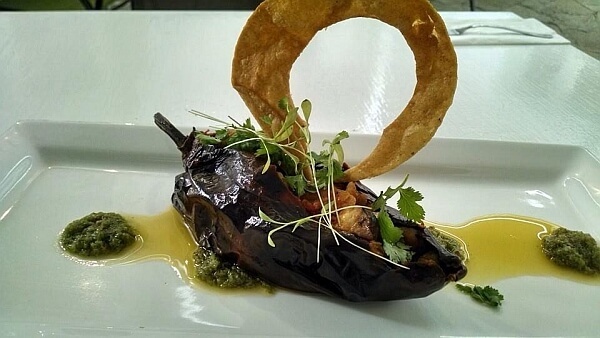 Mestizo – Housed in the gallery of famous potter Capello, his son is the owner and chef of this excellent restaurant that has never let me down. Every time I’m amazed at the beauty and flavor of what comes out of the kitchen after ordering from a menu where hardly anything tops US$13. It’s not the best spot for vegetarians as most of the choices involve beef, pork, or chicken with interesting sauces or marinades. Those who eat seafood will usually find at least one option though. No website, so go here for more info. 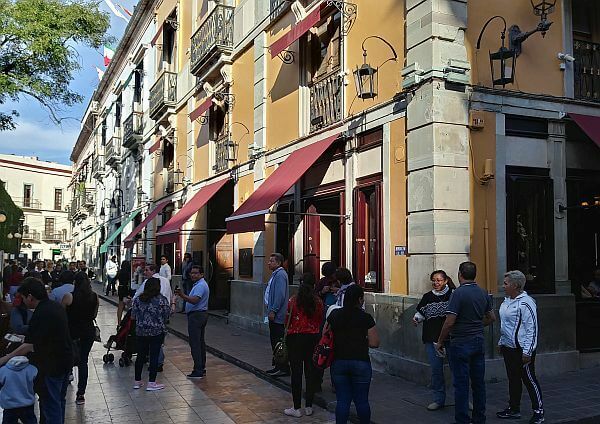 Las Mercedes – The original gourmet restaurant in Guanajuato still chugs along as one of the best and is a favored spot for romantic special occasions. Perched on a hillside in a residential neighborhood that requires a taxi ride from the center, here you can count on very high-end Mexican cuisine with some international influence in presentation and (scrumptious) desserts. It’s a romantic and cozy spot for date night. Open for dinner only Monday through Saturday. 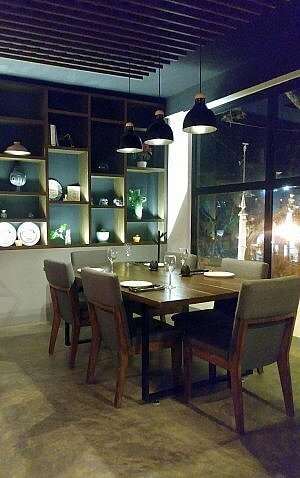 Amatxi – One of the newest upscale restaurants in Guanajuato, it is expensive by local standards but worth it for the kind of ambiance you normally find in a big city. This is a romantic spot on the second floor of another restaurant owned by the same family, up near the Presa de la Olla, next to a leafy park and the Palacio de Gobierno. The best bets here are the meat and seafood dishes, especially the steaks. There’s also a range of interesting cocktails as well as beautiful desserts that look as good as they taste. There’s even a real bar you can sit at, with bar stools, which is a rarity in this city. No website, but they have a Facebook page. 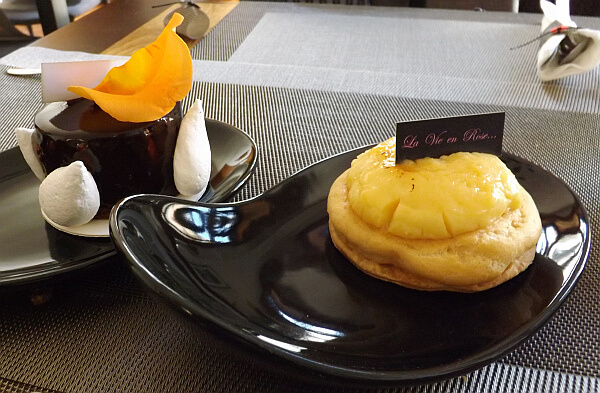 La Vie en Rose – Owned by a transplanted French family, the bakery and restaurant La Vie en Rose gave new meaning to the phrase “instant success” when it opened in late 2014. It sucked in expats and upper crust Mexicans like a powerful vacuum cleaner as soon as word got out—which only took about a week. If anything, it has gotten better. This place could hold its own in Paris with its divine pastries and heavenly food. Here in the colonial interior of Mexico, it’s got no competition within a four-hour drive. Everything you get here looks like a work of art and unlike most Mexican pastries, tastes just as special. See their website here and start salivating. Casa Valadez – This local institution could previously just rely on its perfect location on the Jardin de Union, across from Teatro Juarez, and still bring in plenty of business to its outdoor seating. They now have to serve everyone inside instead, but Casa Valadez still packs in the free-spending tourists. 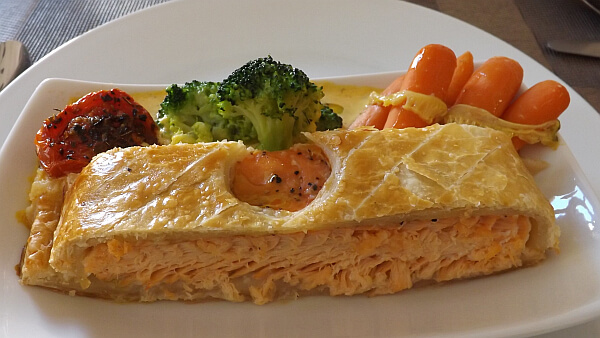 The fine-looking restaurant serves a non-stop stream of upper crust locals, domestic tourists, and foreign ones by serving up consistently good food. The menu is heavy on traditional Mexican dishes, but they’re all presented with flair by well-trained waiters and you can also get a good steak or salad here—not always a given elsewhere. They serve all three meals and have the nicest bathrooms in Guanajuato. Yes, it seems a bit overpriced, but you can’t beat the location or the elegant surroundings inside. When I first lived in the city a few years ago, just coming up with this many standouts was a challenge. Now the bar is getting much higher and you could eat at a different place every night for a week and eat well. If you have a craving for Italian food, most put La Trattoria above Hotel San Diego in the top spot overall. But you can also try La Capellina near the main plaza or El Gallo Pitagorico just up the hill looking down. There’s also a good falafel place called Habibi and a Japanese place called Delica Mitsu. Both are near Santo Cafe, which sits on a bridge above the street. There’s an upscale Relais & Chateau restaurant in hotel Villa Maria Cristina up toward the Presa de la Olla. Also getting high marks is the Restaurante Las Vieyras in Hotel Casa del Rector, near the Diego Rivera Museum. After all this, if you get tired of fancy food and want to eat where the workers do, take a Guanajuato street food tour. We will check it out when it opens, thanks. Los Campos has tiny – I mean truly minuscule – portions and two people in our party got sick last week when we ate there. Valadez also has tiny portions and mediocre food. La Vie en Rose has exorbitant prices. There are plenty of good restaurants in Guanajuato but this article chose to focus on the most overpriced and mediocre places you can find in this beautiful colonial town. Also, the use of terms like “upper crust” is elitist and extremely off-putting. It’s disappointing to see an article like this about the cuisine here in Guanajuato. Frankly, it’s weird to see an article like this that is written with such an arrogant and snobby tone – like it’s shocking to find decent food in Guanajuato – and yet somehow the article simultaneously heaps praise on a bunch of mediocre restaurants for their underwhelming gastronomical offerings. Whoever wrote this piece clearly has poor taste. Sorry our city has made you so bitter Dusty. As for the audience, you do realize the site is called LUXURY Latin America right? The post is not meant for long-term foreign residents on a strict budget. Most of the foreigners who visit this city on vacation and have money to spend are thrilled with the places mentioned, as you can see by reading online reviews anywhere. I based this list on four years of comments from tourists coming to Guanajuato, as well as expats who have a healthy monthly income. Compared to prices in the USA or Canada–or any Mexican resort city even–no visitor would call these restaurants overpriced without laughing. Vie en Rose is good but table du Andre is actually better. I believe Table du Andre is closed, though I’ve heard it will reopen elsewhere at some point. We took that street food tour and went to both Los Campos and Mestizo based on the guide’s recommendations for dinner. Both excellent and a great value!